Headstone stone maker: Thos. New Arklow. In loving memory of Kathleen wife of the Rev. W.B. 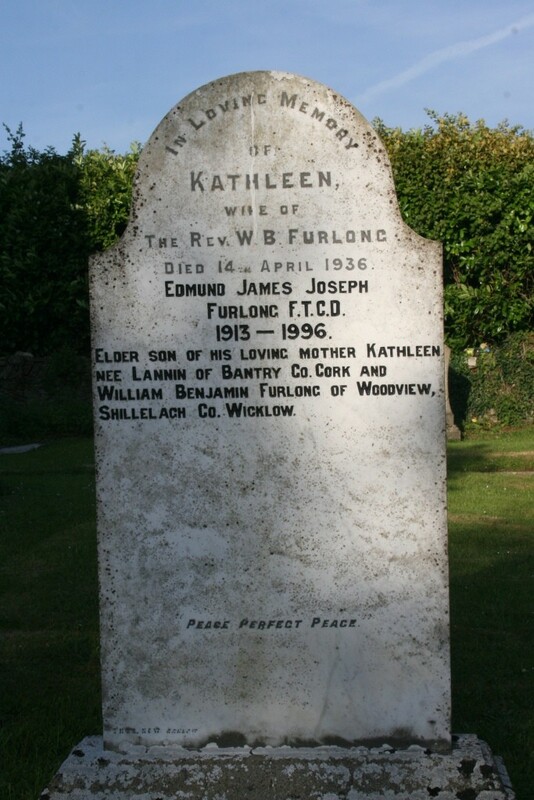 Furlong died 14th April 1936. Edmund James Joseph Furlong F.T.C.D. 1913 - 1996 elder son of his loving mother Kathleen nee Lannin Bantry, Co Cork. 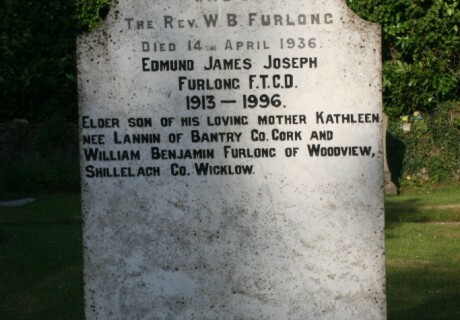 And William Benjamin Furlong of Woodview , Shillelagh, Co Wicklow.